Home > JULY 2016 > Dr. V. G. Santhosam 80th Birthday: Chennai Tamil Sangam presented Life Time Achiever Award..! 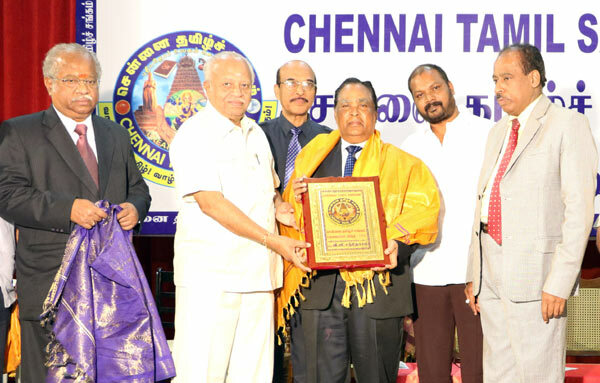 Dr. V. G. Santhosam 80th Birthday: Chennai Tamil Sangam presented Life Time Achiever Award..! Chennai Tamil Sangam presented Life Time Achiever Award to Dr. V. G. Santhosam on his 80th Birth Year (2016).